Domestos is the leading brand of bleach in the United Kingdom. Few people are aware of its origins in Newcastle upon Tyne. Wilfred Augustine Handley (1901 -1975), was the son of a blacksmith employed in the Tyneside shipbuilding industry. W A Handley trained as a dental mechanic. As a side project, he manufactured chemicals in his garden shed. He acquired sodium hypochlorite, a waste product from the local chemicals industries, including ICI Billingham, and manufactured a powerful disinfectant and sterilizer, which he called “Domestos”. W A Handley established his “Hygienic Disinfectant Service” in 1929. Assisted by his wife Ivy, he worked as a door-to-door salesman to sell Domestos. Domestos was incorporated as a private company in 1936. Stergene, designed for washing woollens, was introduced in 1948. Domestos enjoyed distribution across Britain by 1952. Sqezy, the first washing up liquid in squeezable bottles, was launched in 1957. W A Handley placed Domestos into a shell company which was valued at £250,000 in 1957. Handley sold the company to Unilever for £2.5 million in 1961. Unilever lacked a bleach brand of its own, and was attracted to the company’s strong growth. The acquisition provided Domestos with much needed capital for expansion, as well as managerial expertise. Handley was retained in a managerial capacity, but stepped down as chairman in 1962. The Domestos blue plastic bottle was introduced from 1963. The Domestos marketing and sales departments had been transferred to London by 1965. Domestos employed 700 people by 1965. Domestos sales continued to grow, but the Newcastle factory lacked space to expand. As a result, production of Domestos detergents including Sqezy and Stergene were transferred to the Unilever factory at Port Sunlight, Merseyside, from 1965. The customer service office was relocated to London. Domestos held a third of the British bleach market by 1974. Handley died in 1975 and left an estate valued at £172,786. The Domestos factory in Newcastle upon Tyne was closed in 1975 with the loss of 160 jobs, and operations were relocated to Port Sunlight. Domestos was sold throughout Europe by the end of the 1970s. It was introduced to Australia in 1981. Globally, Domestos enjoyed ten percent growth in 2017, and is a leading product in the Unilever Home Care division. Bell Brothers was the second largest producer of pig iron in the North of England. Thomas Bell (1774 – 1845) was born at Lowhurst, Cumberland. In 1808 he entered the business of Losh & Co of Newcastle upon Tyne, a firm of merchants which was branching out into the manufacture of alkali and iron. He became a partner in the firm, which became known as Losh, Wilson & Bell. His sons, Isaac Lowthian Bell (1816 – 1904) and John Bell (1818 – 1888) established Bell Brothers in 1844. Initially they leased an iron smelting works at Wylam on Tyne. Lowthian Bell was the senior partner. Educated in the sciences at the Sorbonne in France, he spoke fluent German, Danish and French. Bell would later be heralded as the first scientifically trained ironmaster. John Vaughan discovered sizeable deposits of ironstone (from which iron ore could be extracted) at Eston in the Cleveland hills near Middlesbrough. John Bell made his own ironstone discovery at Normanby, and leased the land from the Ward Jackson family. 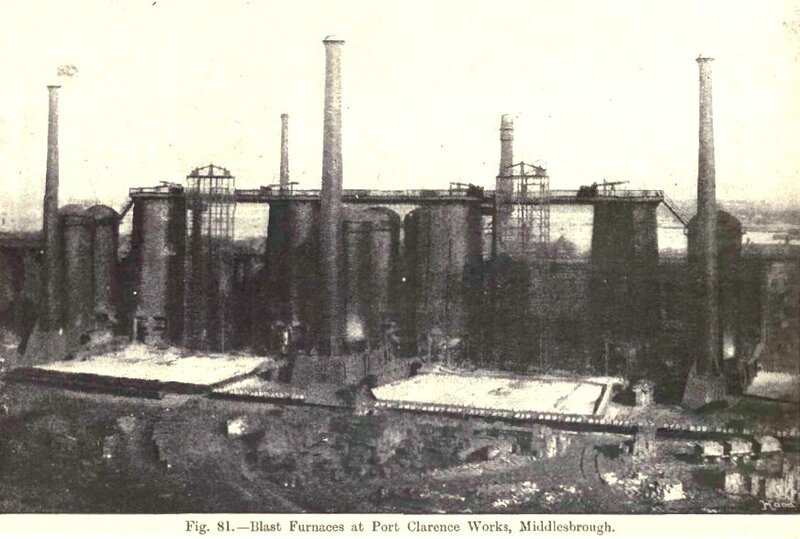 Two blast furnaces were erected at Port Clarence, Cleveland in 1853. Three more were built the following year. Bell Brothers was registered as a limited liability company in 1873. The company remained entirely family controlled. Two new blast furnaces were opened in 1874, and the company announced plans to increase capacity to 750 tons of iron per day. Bell Brothers pioneered the Teesside salt industry. The company began to bore salt from 1882, and by the end of the year had a productive capacity of up to 400 tons of salt a week. The salt was sold to Tyneside chemical manufacturers, who used it to produce alkali. By April 1883 the company was produced 860 tons of salt a week. 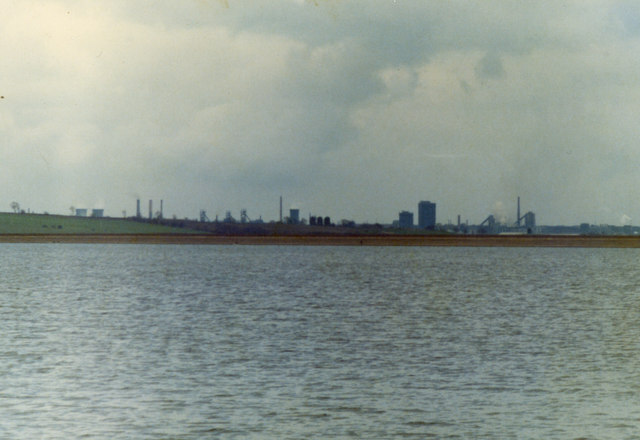 By this time, Teesside was the largest producer of iron in the world. 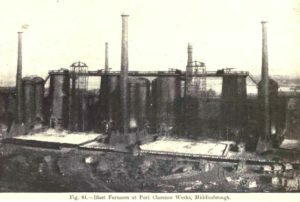 Bell Brothers operated twelve blast furnaces at Port Clarence by 1877. The company also operated ironstone mines, limestone quarries and collieries. Around £1 million in capital was invested in the business. The company was second only to Bolckow Vaughan in pig iron production in the North of England. By this time Thomas Hugh Bell (1844 – 1931), the son of Lowthian Bell, was responsible for managing the business. Bell Brothers announced plans to develop a steel works at Port Clarence in 1887. The works would use the Siemens-Martin process, instead of the established Bessemer process, to manufacture steel from Cleveland pig iron. The strategy allowed the company to exit the increasingly competitive iron market. Bell Brothers employed 4,500 men in 1898. The company had an authorised capital of £825,000. Bell Brothers divested its salt interests to Salt Union Ltd and Brunner Mond Ltd in 1899. Dorman Long acquired half of Bell Brothers from Thomas Hugh Bell in 1899. The remaining half was acquired from Lowthian Bell in 1902. Lowthian Bell became chairman of Dorman Long. With a capital of £1 million, the merged company was the largest iron and steel manufacturer in the North of England. Bell Brothers produced 360,000 tons of pig iron in 1903. The number of blast furnaces had been reduced to eight by 1905. 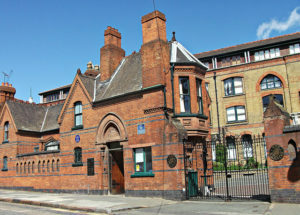 Lowthian Bell died in 1904 and his estate was valued at £768,676. The Bell Brothers subsidiary was formally liquidated in 1923. The Pearson group of companies was by far the largest British business in 1919. Weetman Pearson (1856 – 1927) became a partner in S Pearson & Son, a public works contractor, in 1876. The firm had been founded by his grandfather, Samuel Pearson. Pearson was single-handedly responsible for growing the family firm from a regional to an international player. Pearson embarked upon a £2 million project to provide a drainage canal for Mexico City, which had experienced seasonal flooding, in 1890. The Grand Canal in Mexico City was completed in 1896, on schedule and on budget. Around the turn of the century, Pearson built three harbours, Vera Cruz, Salina Cruz and Puerto Mexico, as well as the Tehuantepec railway (completed 1905) which connected the Atlantic and Pacific coasts. 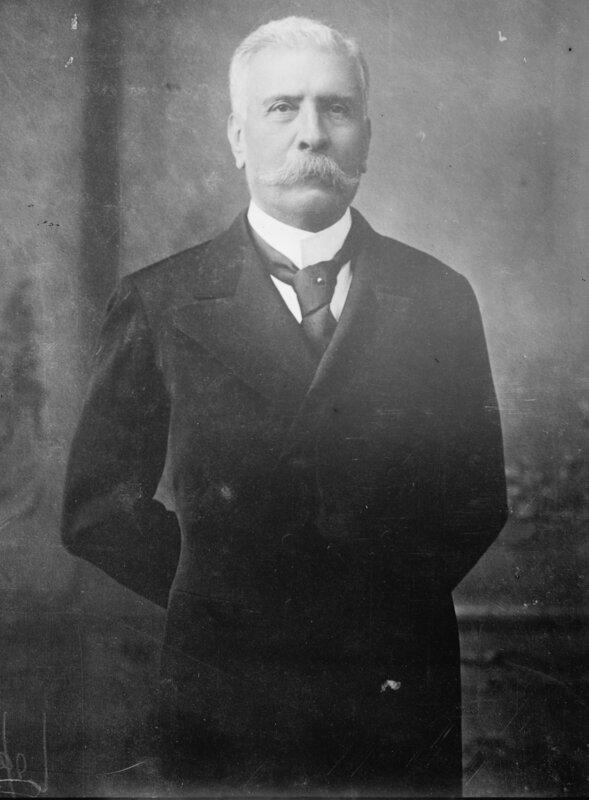 Pearson began to acquire oil concessions in Mexico from 1901. He was encouraged by President Porfirio Diaz (1830 – 1915), who was keen to develop a rival to the US oil companies already operating in the country. S Pearson & Son was the largest engineering firm in the world by 1905, employing 60,000 men. Pearson struck oil in Mexico, and agreed to supply C T Bowring, the largest distributor of petrol in Great Britain, with oil at a fixed price. Unfortunately, his well ran dry, and he was forced to buy oil at inflated prices from his rival, Standard Oil, in order to fulfil the contract. In a huge stroke of luck, Pearson made a large oil discovery in 1908. Dos Bocas was the largest oil deposit yet found in the world. The Mexican Eagle Co was formed to exploit this field in 1908. Mexican Eagle went public in 1910, with a capital of £3 million. Its production output over the next two years was estimated at 750,000 tons. Mexican Eagle was recognised as a strong competitor to Standard Oil Co, controlled by John D Rockefeller (1839 – 1937). Standard Oil and Royal Dutch Shell virtually controlled the global oil market at this time. As Pearson did not want to be reliant on them, he established the Eagle Oil Transport Co to process and distribute his raw product. The Anglo-Mexican Petroleum Co was registered in 1912 to market the product outside of Mexico. The value of Mexican Eagle tripled between 1910 and 1913. Between 1912 and 1913, the company held an estimated 50 percent market share for fuel products in Great Britain. Production in 1913 was eleven million barrels. Mexico was the third largest oil producer in the world by 1914, after the United States and Russia, and Pearson controlled around 60 percent of the country’s output. Mexican Eagle produced nearly 19 million barrels of oil in 1919. Eagle Oil Transport had a capital of £3 million in 1919. Mexican Eagle had a capitalisation of nearly $56 million. With a market capitalization of £79 million, the Pearson group of companies ranked as by far the largest business in Britain by 1919, with a valuation more than 25 percent higher than its nearest rival, Burmah Oil. Pearson sold 35 percent of the ordinary capital of Mexican Eagle and 50 percent of the shares of Anglo-Mexican to the Shell Transport & Trading Co for a reported £10 million in 1919. Shell representatives were given a majority on both boards of directors. The merger represented the takeover of the largest British company by the largest European company. The Shell companies had an output of oil in 1918 roughly double that of Mexican Eagle, around 40 million barrels. Shell invested heavily to increase production in Mexico. Mexican Eagle produced over 32 million barrels in 1920. An estimated 50 million barrels were shipped in 1921. The company had a daily capacity of well over 100,000 barrels. Pearson died in 1927 with an estate valued at £4 million. According to his obituary in the Manchester Guardian, he “never lost his accent and pleasant Yorkshire ways”. Pearson had struck lucky again, by cashing out at the right time. Mexican Eagle share prices declined by 89 percent between 1920 and 1930. By the early 1930s, Mexican Eagle, in common with its competitors, was decreasing its investment in Mexican oil. The Mexican oil industry was nationalised by the government in 1938. The Belfast Ropework Co was the largest ropemaker in the world. William Holmes Smiles (1846 – 1904), the son of Self Help author Samuel Smiles (1812 – 1904), acquired a half share in a small Belfast ropewalk (a place where rope is made) in 1871. 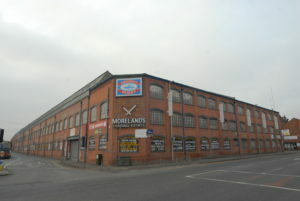 Smiles established the Belfast Ropework Co as a limited company in 1876. He had three partners, including G W Wolff (1834 – 1913), of the Belfast shipbuilding firm Harland & Wolff. G W Wolff was the chairman, and William Holmes Smiles was managing director. It was the organisational ability and energy of Smiles that would enable the venture to prosper. 50 people were initially employed on a four acre site at Connswater, Belfast. 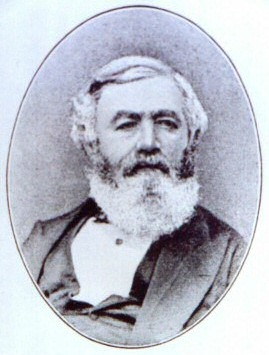 Edward Harland (1831 – 1895), of Harland & Wolff, soon became a large shareholder. The business grew in tandem with the growth of the Belfast shipbuilding industry. 300 people were employed at the works by 1880. Progress was being made in export markets by 1880. The company won market share in Canada, despite a ten percent tariff against imported goods in the dominion. It was the largest rope works in the world by 1892, and the company employed a capital of £250,000. The Belfast Ropework Co was listed on the Belfast Stock Exchange from 1897. W H Smiles died in 1904, probably from overwork, with a relatively modest estate valued at £6,303. By this time 3,000 people were employed at the ropeworks, which spanned over 40 acres. 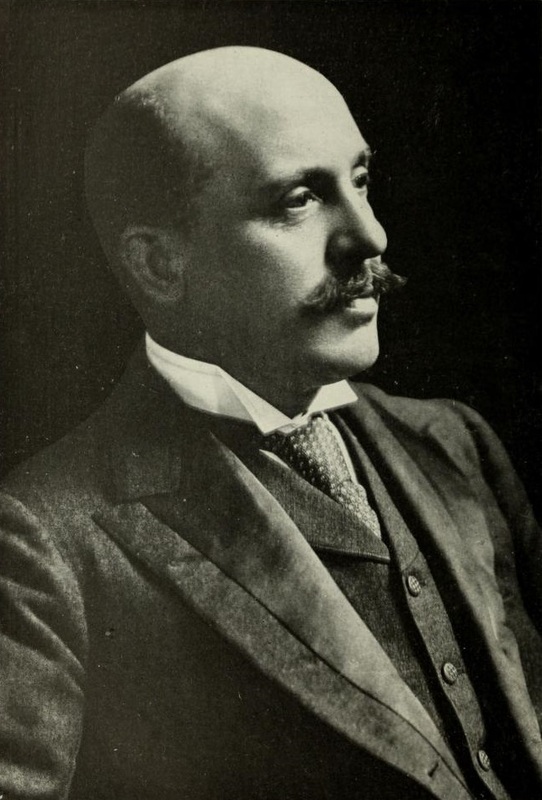 Smiles was succeeded as managing director by John M’Candless (1861 – 1913), who had worked his way up from a modest position in the company. The site covered 34 acres and the firm employed 3,600 workers by 1913. Over 3,500 workers were employed by 1919, as well as a staff of over 150 clerks. The company served over 100,000 customers. The Belfast Ropework Company had a nominal capital of £1 million by 1930. The twine department, representing around 30 percent of the business, employed 1,500 workers by 1931. The company remained the largest ropemaker in the world in 1935. During the Second World War Belfast Ropeworks produced goods for the war effort, including camouflage nets. Belfast Ropeworks entered into decline following the end of the Second World War. The company still operated the largest single rope factory in the world in 1957. The company employed 1,000 people in 1968. Belfast Ropeworks merged with other Belfast textiles firms including McCleery L’Amie to form a company with capital of £3.2 million in 1970. Belfast Ropeworks changed its name to McCleery L’Amie Group in 1972. The company ended hemp rope production in favour of synthetic fibres from 1973. A slump in demand for ropes and twines, as well as the growth of low-cost imports from overseas saw the closure of the Belfast Ropeworks in 1979. Bryant & May was the largest matchstick manufacturer in Britain. Today it remains a leading premium brand of matches. Bryant & May was established when two Plymouth Quakers, William Bryant (1804 – 1874) and Francis May (1803 -1885), joined in partnership to manufacture tallow and candles from 1844. Bryant & May acquired the British rights to the safety match from Carl Lundstrom (1823 – 1917) of Sweden in 1855. 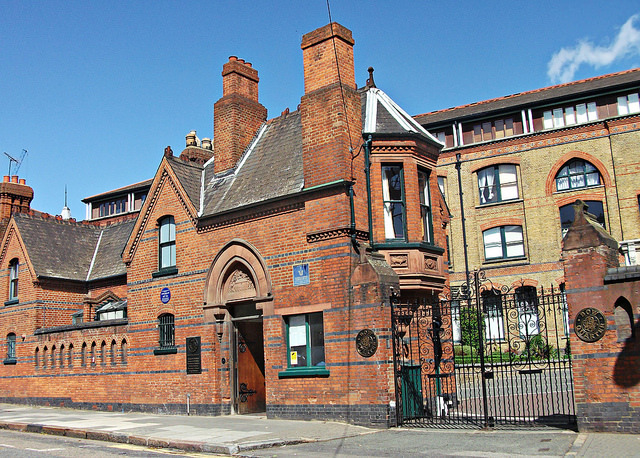 The product was to prove so successful that Lundstrom struggled to meet demand, so Bryant & May established a factory at Fairfield Road, Bow, London, from 1861. Initially children were numbered among the employees. This was not considered unusual at the time. Wilberforce Bryant (1837 – 1906), the son of William, soon joined the partnership. Francis May left the partnership in 1864. About 1,500 people were employed by 1871. The Graphic commented that the workforce were “by no means the miserable, emaciated, half-starved creatures whom some of our readers might expect to see. On the contrary they were, as a rule, stout, ruddy and decently dressed, and the younger children especially seemed full of spirit”. William Bryant died, with a personal estate valued at under £160,000, in 1874. Originally the firm manufactured safety matches, but soon it bowed to commercial pressure and began to manufacture “strike anywhere” matches, which used white (also called yellow) phosphorous, which could cause phosphorous necrosis among workers. Bryant & May employed at least 5,000 people by 1876. A visitor in 1881 commented in the New Monthly Magazine on the “cheerful labour” of the workforce, and denied the existence of cruel managers, fire risk and ill health caused by phosphorous. Bryant & May had developed a considerable export trade by 1881. The Fairfield Works covered over six acres. Pine was imported from Canada. Matchbox making and labelling employed 3,000 females within their own homes throughout the local neighbourhood. Bryant & May was registered as a limited liability company in 1884. That year, Bell & Black, its Bow rival, was acquired to create the largest match manufacturer in Britain. With the Bell & Black acquisition came its secretary and manager, Gilbert Bartholomew (1852 – 1911). He was appointed managing director of Bryant & May. The company produced around 300 million matches a day by 1886. 1,200 young women went on strike at the Bow factory in 1887. 1,400 young women went on strike at the Bow factory in 1888. The dispute ended as a victory for the employees, who gained almost everything they demanded. An unpopular system of fines for misbehaviour was scrapped. It appeared that foremen had misrepresented the strikers’ position to the company directors, who subsequently requested that complaints be addressed directly to them in future, in order to avoid further misunderstandings. Bryant & May employed around 2,000 workers in 1895, including around 1,200 to 1,500 women and girls. Operations began in Brazil from 1895. It was passed into law from 1893 that every case of phosphorous poisoning had to be referred to the Government. Between 1878 and 1898 Bryant & May recorded 47 cases of phosphorous necrosis amongst its workforce. Bryant & May stated that 81 percent were completely cured by a company doctor. The company admitted its guilt in attempting to cover up nine cases of death associated with phosphorous necrosis amongst its workforce. Since the law had been passed requiring that the Home Office be notified of phosphorous poisonings, Bryant & May had failed to report 17 cases, including six deaths. Gilbert Bartholomew readily admitted the company’s guilt. He argued that the company would support a ban on the sale of phosphorous matches, which had around 90 percent of the market. He argued that a total of nine deaths across twenty years made matchmaking a safer trade than many others such as brick-making or linen-weaving. Not one of the nine deaths was caused by necrosis poisoning, although necrosis may have accelerated their deaths. The truth was that Bryant & May were liberal employers for the period. The cover-up was motivated by a desire to maintain that strong public image. Wilberforce Byrant announced in 1900 that patents had been acquired that allowed the company to abolish the use of white phosphorus. Bryant & May employed an average of 2,500 workers by 1900. A staff canteen was opened in 1901. Bryant & May acquired the Diamond Match Company in a reverse takeover in 1901. Diamond had seriously dented Bryant & May’s market share due to its use of the superior Beecher match-making machine. The takeover gave Bryant & May the rights to the Swan Vesta brand of matches, and a large factory in Litherland, Liverpool. The number employed at the Bow factory was subject to fluctuations, but a rough average of 1,600 were employed in 1905, mostly young women. A 34 percent stake in the Lion Match Co of South Africa was acquired in 1905. Bryant & May had a productive capacity of over 90 billion matches and over 100,000 miles of wax vestas and tapers per annum by 1909. The Litherland factory employed around 1,000 people. Moreland & Son of Gloucester, manufacturer of England’s Glory matches, was acquired in 1913. The Bow and Litherland factories each covered seven acres by 1914. Bryant & May employed 3,500 workers in January 1921. The company produced 95 billion matches every year. A factory was opened in Glasgow in 1921. It originated the Scottish Bluebell matchstick brand. Bryant & May took control of the English interests of Maguire, Paterson & Palmer, match manufacturers of Garston, Liverpool, in 1922. With the acquisition of its last remaining large British rival, Bryant & May only had to worry about competition from imported Swedish matches. Bryant & May had an authorised share capital of £2 million by 1922. The company owned, or had large stakes in, factories in Australia, New Zealand, Canada, South Africa and South America. The Litherland factory employed over 1,000 people, 800 of them girls, in 1926. By 1926 the Brazilian subsidiary had a share capital of £600,000 and was the largest producer of matches in that country. In 1927 Bryant & May merged with the British subsidiary of the Swedish Match Company to form the British Match Corporation. The company had a nominal capital of £6 million. Swedish Match held a stake of approximately one third in British Match. British Match produced 45 billion matches in 1934, and employed 1,000 people. British Match was the 35th largest company in Britain, with a market value of £8.1 million by 1935. The Litherland factory was destroyed during the Blitz in 1941, and production was relocated to Garston. Bryant & May held around 55 percent of the British match market in 1971. However the market was in decline, and factory closures were to prove inevitable. The Bow factory closed with the loss of 250 jobs in 1971. Warehousing and administration functions continued. By 1973 British Match employed 12,200 people, including 4,600 in the United Kingdom. The firm held around 57 percent of the British match market. In 1973 British Match acquired Wikinson Sword, best known for its shaving razors, in an attempt to diversify its product portfolio. The company was known as Wilkinson Match. The Gloucester factory was closed in 1975. Swedish Match sold its shareholding in the company to Allegheny of Pittsburgh, Pennsylvania in 1978. Further acquisitions by Allegheny that year saw its stake in Wilkinson Match increase to 44 percent. In 1979-80 the marketing and administration departments at Bow were transferred to the Wilkinson Sword headquarters at High Wycombe. Allegheny acquired the entirety of Wilkinson Match in 1980. The decline of the match market led the company to diversify into disposable lighters. The Glasgow factory was closed in 1981. Between 1983 and 1986 the Garston factory was converted to largely automated production. It was the sole match manufacturing facility in Britain by 1985. With 317 employees, it had a productive capacity of 35 billion matches per annum. In 1987 Allegheny sold Wilkinson Match to Swedish Match. This resulting in Swedish Match holding over 80 percent of the British match market, and nearly half of the disposable lighter market. The Garston factory was closed in 1994 with the loss of 96 jobs. It marked the end of match manufacture in Britain. Sales had declined due to the decline of smoking and open fires, as well as the removal of excise duty from disposable lighters. Production was relocated to Sweden. The Consett Iron Company was the largest steel manufacturer in the world. The Derwent Iron Works, County Durham, were established in 1840 and were the largest in England by 1860. Nearly 4,000 men and boys were employed on a site of over 70 acres with eleven blast furnaces. Despite its scale, the company was notoriously unprofitable. When the Northumberland and Durham District Bank went bust, the Derwent Iron Works owed the bank £1 million. The works were acquired by the newly-formed Consett Iron Company for £295,318 in 1864. Capital was £400,000. The company was controlled by John Henderson (1807 – 1884), and two Quakers, Joseph Whitwell Pease (1828 – 1903) and David Dale (1829 – 1906). The company had 18 blast furnaces, only seven of which were in use. The company employed 4,000 to 5,000 men in 1865. William Jenkins (1825 – 1895), a Welshman, was appointed general manager from 1869, having previously managed the works of John Guest. Jenkins was largely credited with the turnaround of the Consett works. A political Liberal, and a staunch churchgoer, Jenkins was a humane and kind man, and generally retained his workforce, even during slack trading periods. He had a keen commercial mind and was a strong judge of character. 45,038 tons of iron were produced in 1869. Company share capital amounted to £352,732. The company operated the largest iron plate works in the world by 1875. The company employed 5,000 people by 1878. The company manufactured 1,600 tons of iron plate every week by 1880. By 1890, 132,085 tons of iron and steel were produced, and the company had a share capital of £736,000. The company was the largest steel manufacturer in the world in 1894. The company was remarkably profitable, a testament to its strong management. The company had a share capital of £3.5 million in 1922. The company established a steelworks at Jarrow, Tyneside from 1940. The company’s seven collieries were nationalised in 1947. In 1955 the company had an authorised capital of £19 million. 6,300 people were employed at the Consett and Jarrow sites. In 1965 the company employed 7,337 people. The company was nationalised in 1967 and became a part of British Steel. The Consett steel works was closed in 1980 due to overcapacity in the industry. Almost 4,000 jobs were lost. 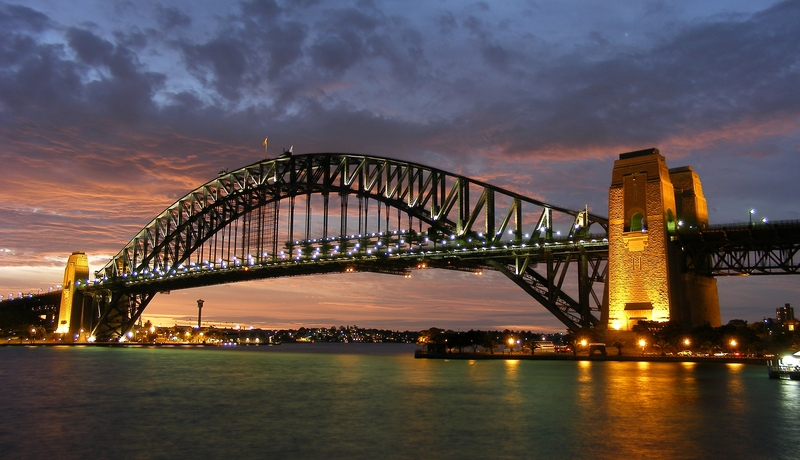 Dorman Long was the largest steel and iron manufacturer in the British Empire, but is best known for its large structural engineering projects, such as the Sydney Harbour Bridge. Arthur John Dorman (1848 – 1931) was the son of a Kentish tanning yard owner. He relocated to Middlesbrough in the North East of England in 1866 to serve an apprenticeship to E G Johnson of Richard Johnson & Co, iron producers. Dorman was not afraid to get his hands dirty, and although his spectacles and Southern accent caused great amusement to his fellow puddlers, he earned their respect in undertaking their strenuous work. A straight-forward and likeable man, he rose to the position of assistant manager. Dorman partnered with the financier Albert de Lande Long (1844 – 1917) to acquire the West Marsh Ironworks at Middlesbrough in 1876. With 20 puddling furnaces and three rolling mills, the firm specialised in producing wrought iron bars and angles for the shipbuilding industry. Developing business led Dorman Long to acquire the Britannia Works from Bernard Samuelson and steel production commenced on a large scale. Dorman Long became a limited company with a share capital of £350,000 in 1889. It had an annual output of 100,000 tons of steel. A half share in Bell Brothers of Middlesbrough was acquired from Sir Hugh Bell in 1899. Bell Brothers held extensive collieries, ironstone mines and limestone quarries. Company capital was increased to £1 million in 1902 to purchase the remaining half of Bell Brothers from Sir Lowthian Bell, who became company chairman. The firm was now the largest steel producer in the North of England, and the only one that was entirely vertically integrated. The merger made logical sense as the result of increasing co-operation between the two firms. It was also a response to the formation of United States Steel in 1901, which was the largest manufacturer in the world. The North Eastern Steel Company was acquired in 1903. During the First World War Dorman Long was the first non-armaments company in Britain to dedicate itself to shell production. The six blast furnaces of Walker Maynard & Co at Redcar were acquired in 1915. A steelworks was opened at Redcar at a cost of £2 million in 1917. Sir B Samuelson & Co of Middlesbrough was also acquired in 1917. Dorman Long was easily the largest iron, steel and coal company in Britain by 1923. The Redcar steelworks covered 150 acres and employed 2,500 men by 1923. 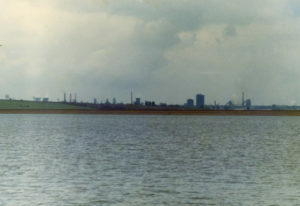 Richborough, the state-owned Kentish coal port which had been neglected since the war, was acquired in 1924. Dorman Long entered the bridge building industry in 1924. The Sydney Harbour Bridge was their first contract, constructed at an estimated cost of £4.5 million. Dorman Long acquired Bolckow Vaughan in 1929 to form the largest steel, iron and engineering firm in the British Empire. The merged firm had an annual capacity of three million tons of steel (25 percent of British production) and two million tons of pig iron. The merger was due to a slump following the post-war boom, and neither firm had issued a dividend since 1921. A J Dorman died in 1931. His obituary in the Yorkshire Post heralded his strong relationship with his workforce. By this time Dorman Long was the best-known bridge builder in the world. A keen Anglican and Conservative, Dorman was also a generous benefactor. He built Dormanstown garden village to improve the living standards of his workforce, and donated the Dorman Museum to the people of Middlesbrough. Dorman Long struggled during the Great Depression, and entered into receivership in 1933. The board of directors was reconstituted, and managerial control was returned to Middlesbrough. Dorman Long opened the second largest coking plant in Europe at their Cleveland Works in 1936. Dorman Long employed 39,889 people in 1937, with the vast majority working in County Durham and Yorkshire. The wage bill for the year amounted to nearly £7 million. Dorman Long built the second largest bridge in the world at their works in Middlesbrough in 1937. It was erected in Denmark and still stands. By 1938 Dorman Long controlled collieries with an annual output of four million tons, and ironstone mines with an annual capacity of 2.5 million tons. The South Bank works contained the largest coking plant in England. By 1949 Dorman Long held 60 percent of the structural engineering industry in South Africa, and owned the largest structural engineering company in South America, British Structural Steel of Buenos Aires. By 1963 Dorman Long had declined relatively, to be the 38th largest steel manufacturer in the world, with an annual output of 1.745 million metric tons. Dorman Long was responsible for 22 to 25 percent of British structural steel output in 1964, and employed a total of around 25,000 people. Dorman Long merged with South Durham and Stewarts & Lloyds in 1967 to create British Steel & Tube, one of the largest steel manufacturers in the world. Later that year, British Steel & Tube was nationalised, under the name British Steel. After large profit losses in the early 1980s, Dorman Long reduced its workforce from 9,000 to 3,000. Trafalgar House acquired Dorman Long from British Steel for £10 million in 1982. Trafalgar House merged the firm with its own Cleveland Bridge & Engineering Co to form the largest structural steel fabricator in Western Europe, with 7,000 employees. Dorman Long Technology still specialises in the construction of bridges. It has company headquarters in Northamptonshire, and maintains its North of England headquarters in Darlington. Doxford of Sunderland was the largest shipbuilder, and the largest manufacturer of marine engines in the world. William Doxford (1812–1882) established a shipyard at Coxgreen, Sunderland in 1840. In 1858 he relocated the works to Pallion, Sunderland. Business expanded after the firm began to build iron ships from 1864. In 1870 a larger yard with a five berth capacity was acquired. The first government contract came in 1872 with an order for three gunboats. The engineering works were opened in 1878. The marine engines business was to become as important as shipbuilding to the firm. In 1879 the firm built the largest steamer afloat, the 4,500 ton Grecian. The company was incorporated in 1891 with a capital of £200,000, all owned by the Doxford family. In 1892 the firm launched the first turret-deck steamer. In 1892 the firm launched the Samoa, the largest cargo vessel in the world. In 1896 the firm launched the largest cargo-carrying vessel ever built in England or Scotland. The Algoa, with a carrying capacity of 11,300 tons, was the second largest ship afloat. In 1900 the firm laid down the largest private crane in the world. A limited public offering was offered in 1900. The company had a share capital of £500,000. The firm’s works covered 32 acres. In 1904 the original five berths were replaced with three berths of greater length, each capable of building a 12,000 ton ship. In 1905 and 1907 the firm held the “Blue Ribbon” for the largest output of any British shipyard. 20 vessels were launched in 1905 with 86,532 gross tonnage. Output in 1906 was much larger, at 106,000 tons, although the firm did not win the Blue Ribbon. The company built its first oil engine in 1912. From 1914 the shipyard and engineering works were dedicated to building destroyers. 21 were built during the First World War. In 1919 the Sperling Group-controlled Northumberland Shipbuilding Company acquired over 90 percent of William Doxford & Sons. Chaired by Viscount Furness, the combine was one of Europe’s largest industrial companies. In 1921 the Doxford opposed-piston, airless injection oil engine was introduced. Charles David Doxford died in 1935, the last member of the Doxford family to take an active interest in the running of the firm. In 1951 the firm launched its largest vessel yet, the 16,500 ton Charlton Venus tanker. Throughout the 1950s and early 1960s the Doxford engine had a 25 to 30 percent global market share, and 25 licencees around the world. In 1961 the Sunderland Shipbuilding Dry Docks and Engineering Company Ltd was acquired. It brought the Wear’s largest engineering works and three shipyards under a single owner. In 1972 Doxford was acquired by Court Line. The last Doxford engine was built in 1980. Across its history, 1,200 were sold. The three Wearside yards of Sunderland Shipbuilders were closed in 1990 with the loss of 2,500 jobs. Thomas Vaughan of Middlesbrough was the largest manufacturer of pig iron in the world. Thomas Vaughan (1836 – 1900) was the only son of John Vaughan, partner in Bolckow Vaughan & Co, iron manufacturers of Middlesbrough, North East England. Thomas Vaughan worked at Bolckow & Vaughan. His father gifted him half of his shares in the firm, to the value of £200,000. Using these funds, Thomas Vaughan established works at South Bank and Clay Lane, Eston, Middlesbrough. By 1869 Thomas Vaughan & Co was the largest manufacturer of pig iron in the world. In 1869 T Vaughan & Co opened two new furnaces which could each produce 400 tons of pig iron per week. In 1871 there were 16 blast furnaces. In 1871 700 blast-furnacemen went on strike, demanding an increase in pay. All of the strikers were dismissed. In 1872 the firm had nine furnaces (7.5 of which were in blast) at South Bank and six at Clay Lane. The firm had 36 puddling furnaces at Whessoe, Darlington and 30 at Bishop Auckland. George Neesham, the general manager, was brought in as a junior partner to reflect his long service to the firm. In 1876 the loss-making business entered administration. The gross liabilities of the firm amounted to over £1 million. After being dismissed from his company in 1878, Vaughan retired from business. In his latter years he was an invalid. In 1879 eight furnaces of the South Bank Iron Works were acquired by Bolckow Vaughan & Co for £125,000. Bolckow Vaughan was the largest manufacturer of pig iron and steel in the world. Henry William Ferdinand Bolckow (1806 – 1878) was a German who emigrated to Newcastle upon Tyne. He made a fortune in the corn trade as a partner in C Allhusen & Co. In 1840 he entered into partnership with John Vaughan (1799 – 1868), a Welsh ironmaker. In 1841 they established a cast iron works at Middlesbrough, consisting of a foundry, two rolling mills and an engineer’s shop. Bolckow supplied capital of £10,000 and Vaughan provided the technical expertise. Profits were divided equally. The two men were attracted to the site due to reasonable shipping costs, the easy import of Scottish pig iron from Fife, and a ready supply of fuel from the Durham coalfield via the Stockton and Darlington railway. Initially the firm built engines, and in 1843 supplied the engine for the English Rose, the first steamboat built on the Tees. In 1846 the firm erected four blast furnaces at Witton Park near Bishop Auckland, with ironstone (from which iron was made) sourced mainly from nearby Weardale. That year the firm used 62,400 tons of ironstone, 104,000 tons of coke and coal and 20,800 tons of limestone. By this time the Middlesbrough works produced over 400 tons of iron rails each week. In 1850 Vaughan, together with mining engineer John Marley (1823 -1891), discovered the main bed of ironstone at Eston, Cleveland. In 1851 blast furnaces were erected at Eston to smelt the ironstone deposits and manufacture pig iron. Strong growth ensued, and 1855 saw over 120,000 tons of iron produced, and 4,000 people employed. By 1864 the firm had 17 blast furnaces. Bolckow and Vaughan were largely responsible for a boom in the population of Middlesbrough. In 1864 H W F Bolckow spent over £20,000 to dedicate the 100-acre Albert Park as a public space for the town. A staunch Liberal, Bolckow became the first mayor of Middlesbrough in 1853, and became its Member of Parliament from 1868 until his death. Bolckow Vaughan & Co Ltd was registered as a limited liability company in 1865 with a capital of £2.5 million, which made it the largest new company to date. The firm employed over 9,000 people. 2,000 to 3,000 tons of stone were mined every day, and 160,000 tons of iron were produced per annum. Vaughan was a Wesleyan Methodist, but became an Anglican in his later years. He had a hard-working man with a keen intellect and a natural instinct for management. He died in 1868, and his only son, Thomas, inherited his fortune. In 1875 the firm built a steelworks at Eston, the first in the North of England to use the Bessemer process. In 1876 Edward Windsor Richards (1831 – 1921), who had previously been manager of the Ebbw Vale Co Works, was appointed general manager of the firm. By 1877 the firm produced 300,000 tons of iron a year with 20 blast furnaces. 12,000 workers were employed. By 1878 the firm had twelve collieries and produced one million tons of coal annually. That year, at the initiative of E W Richards, the firm began to use the Thomas-Gilchrist process for steel manufacture. 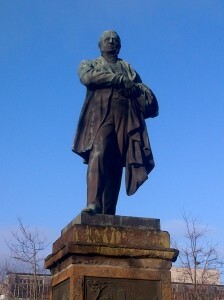 Bolckow was chairman until his death in 1878. He left an estate of nearly £800,000. In 1879 the firm acquired eight furnaces at the Southbank Iron Works, Eston, from Thomas Vaughan & Co, which had entered liquidation, for £125,000. The deal made Bolckow Vaughan the largest manufacturers of pig iron in the world, with 28 blast furnaces, several of which were among the largest in the world. At full capacity the firm could produce over 11,000 tons a week. The firm possessed one sixth of all the furnaces in the North of England. In 1881 the firm was one of the largest iron and steel-making companies in the world. 10,000 to 12,000 workers were regularly employed in County Durham and Yorkshire. The Cleveland Works were the largest steelworks in the world, capable of producing 4,000 tons of steel rails every week. Per annum the firm manufactured 500,000 tons of pig iron and mined 1.5 million tons of ironstone and 2 million tons of coal. Bolckow Vaughan ranked among the largest commercial enterprises in the world, and Teesside was the largest site of British iron production. In 1885 the firm opened two steel plate mills at Eston. The firm could produce 1,000 tons of steel plates and 3,000 tons of steel rails per week. Edward Windsor Richards resigned as general manager in 1888, but returned to the company the following year as chairman and managing director. In 1891 Bolckow Vaughan was one of the largest, if not the largest, iron and coal companies in Britain. In 1892 the firm had a capital of £4 million and employed 10,000 people. The Clay Lane Iron Co of Middlesbrough was acquired in 1899. Its six furnaces were dedicated to the production of foundry iron (used to make cast iron). By 1915 the firm employed 18,000 people and was the largest iron and steel producing firm in Britain. The steelworks had a productive capacity of 220,000 tons per annum. The firm had 23 blast furnaces on South Bank and a further two in Middlesbrough. The firm had four ironstone mines in Cleveland, 13 collieries in County Durham and limestone quarries. An average of two million tons of ironstone were mined per annum. In 1920 Darlington Rolling Mills was acquired from George E Sisterton. Redpath Brown & Co, constructional engineers of Glasgow, was acquired in 1923. Bolckow Vaughan closed five uneconomic coal pits in Bishop Auckland, County Durham, in 1926. 2,500 men and boys lost their jobs. After the post-war boom, the firm entered serious financial difficulties. In 1929 it was acquired by its Middlesbrough rival Dorman Long. Dorman Long had a steel output double that of Bolckow Vaughan. The acquisition established Dorman Long as the largest steel, iron and engineering company in the British Empire.